← Macross Frontier. Do You Remember? Have you caught the season premiere of Gundam 00 Season 2? No? You are in luck, I have prepared a 16,000 words review just for you. But since a picture speaks a thousand words, here’s 16 pics instead. A-Laws. Don’t break the law. Mileina-chan. 14 years old. Because only loli can operate high tech spaceship navigation systems. 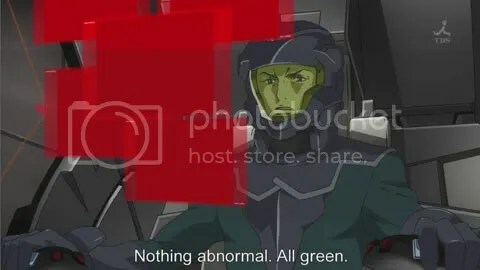 All green? Are you sure? Wait. Let’s recap the last episode of season 1. 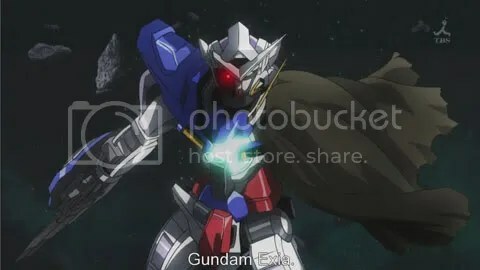 Isn’t the head of Exia hacked off by Graham? So Setsuna manages to find it in the vast space and attach it back himself? 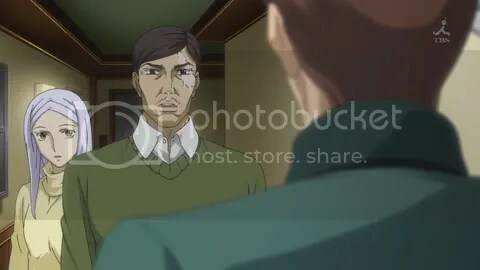 Saji remembers that Setsuna still owes him money. Brand new Louise with a new hairstyle, a new hand and a new job. No it aren’t 9 to 5 nor is it desk bound. Somebody is in need of an image consultant. Need more edgy clothes to look villainy. 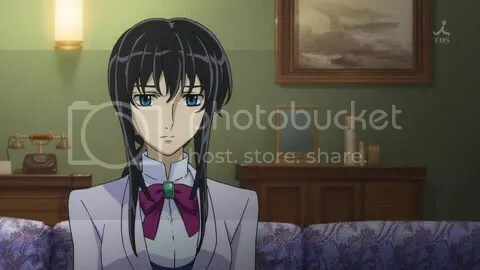 Marina Ismail is sad that Setsuna didn’t call her all these years. Sumeragi wonders why her husband/boyfriend (Billy?) loves watching TV more than spending time with her. What’s with the weird looking jacket? One of my friends just got done telling me that he got some of the 1st season. I had no idea there was a 2nd one. I have not been keeping up with Gundam too well it seems. 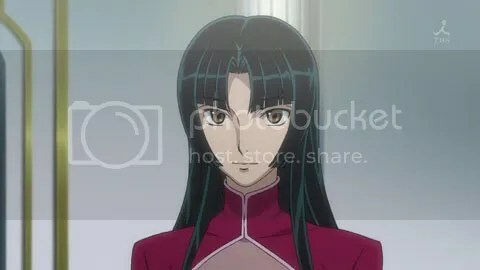 Yea Wang Liu Mei looks very… Different to we once saw in the beginning of first season. The cheerful and young side of her is now completely gone. Overall very fast pace compared to its equivalent last year. It would hopefully be an interesting ride. Haha, nicely done, I lol’d thar. 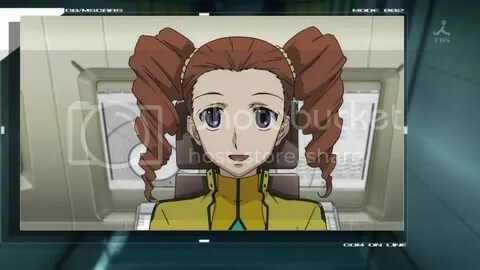 At least she now has a new hand… Will she go back to Saji now? lol! i finally watched the first epi not long ago, funny take on the 16000 words! More of this, musn’t delay, don’t crap this, Sunrise! nice one I loled on most of your comments. Setsuna must have met up with Lowe Guele from seed astray to find the head and fix Exia. although seriously I’m thinking it was probably Fon Spark who help find it. GNdynames lol on blue tape. Lol.. both Wang Liu Meng and the “lt” looks better now.. I think the moe factor does not fit them too well. 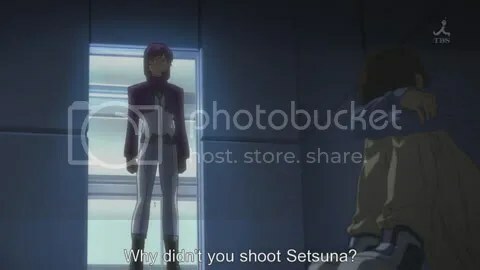 Setsuna juz made his debut to get pwned by new gundams? I thought Stella and Louise looks alike somehow.. But the “Sandrock Exia” look was beautiful. 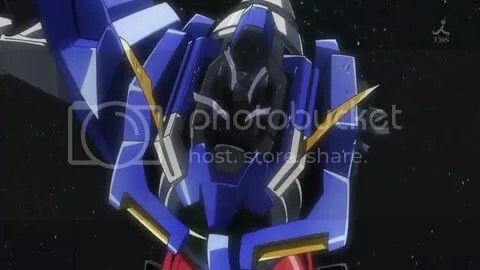 As usual, Exia got owned. Figures. gundam series are usually 50+ episodes. 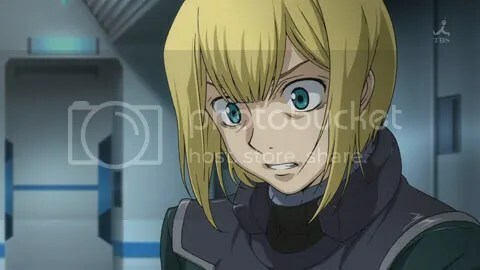 the 1st season of gundam 00 is only 25 episodes so naturally we get a 2nd season. an e-mail has already been sent to the HR department not to recruit colour-blind pilots. 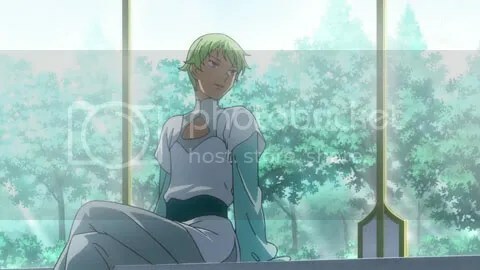 unless saji become more GAR instead of being the same crybaby. lol. lots of tape needed then. more importantly, who will sunrise kill next? 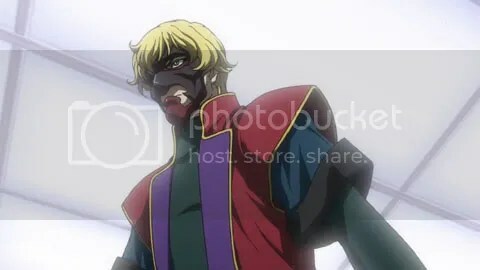 lol but Lowe Guele is from different universe (CE) right? yes i do see similarities as well. Louise the new psycho killer? ya it’s a good start to the new season instead of a cheap recap. you should then. after u finish your paper. Lol… Saji does not know how to use a gun. 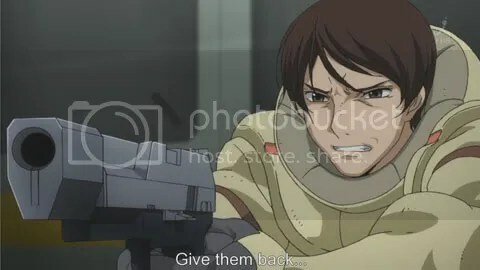 Reminded me of Kira back in Gundam Seed where he threw the gun on that Kluze (if I am not wrong) in favor of firing the weapon.. I need a break from Lolies… Too much dosage of them earlier this year. 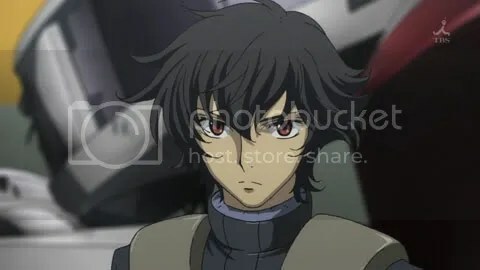 I also write a summary on this first episode of gundam 00. I’ liked much. This episode promises a beautiful second season to us. Now for the main course, let see 00 covered with GN particles, looks uber like that, don’t you guys think ? Nice review. I LOLed at your comments. Anyway, would you mind for link exchanging?? lol. i watch it 3 times only. 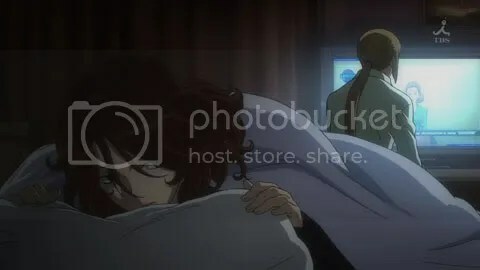 ah yes i also remember that scene. 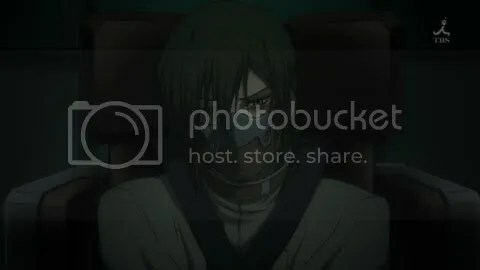 hi there welcome to my blog. and maybe crossbone was well. have u seen episode 2? hehehe. thanks, glad u enjoyed it. haha. 2nd season is running and I have few days ago started watching first season :D, if all goes well I finish it in next week. 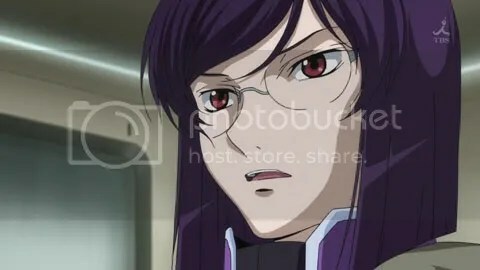 Yesterday I end up on 4 episode and I can say that Gundam00 is great anime and good gundam series. I hope that second season will be as good like first one or even better. Btw. I added your great blog to my blog links if you don’t have anything against that ofc . thanks. i’ll drop by your blog often.